Beverly Jones Heydinger served as Chair of the Minnesota Public Utilities Commission, appointed by Governor Mark Dayton, from July 2012 to January 2017. During her tenure, she oversaw a wide range of proceedings, including rate cases, integrated resources plans, pipeline, transmission line, wind farm and solar siting, development and implementation of Minnesota’s solar programs, and issues arising from the changing regulatory framework for electric utilities and telecommunications. She was a member of NARUC, serving on its ERE and Electricity Committees, and a member of MARC. From 1999 to 2012, she served as an Administrative Law Judge, conducting a wide range of hearings for Minnesota state agencies, and adjudicating campaign complaints, municipal boundary proceedings, and special education matters for local school districts. Prior to her appointment as an ALJ, Beverly served 20 years as an Assistant Attorney General, then Deputy Attorney General, under Attorney Generals Warren Spannaus and Hubert H. Humphrey III. She supervised the Public and Human Resources Section of the Office, and served on the Executive Committee and Recruitment Committee. Beverly is a long-time supporter of Southern Minnesota Regional Legal Services, past chair of the Minnesota Supreme Court Legal Services Advisory Committee, and member and past chair of the Minnesota State Bar Association Administrative Law Executive Council. She currently volunteers at Obama Elementary School in St. Paul, and serves as chair of the board of the YWCA St Paul, dedicated to its mission of Eliminating Racism; Empowering Women. 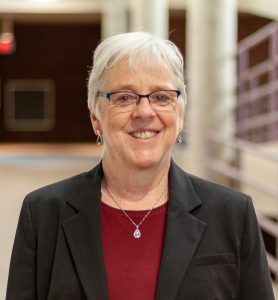 Beverly is a graduate of Carleton College and the University of Michigan Law School, grew up in New Hampshire, and has lived in St. Paul with her husband (and a rotating cast of other characters, including children, friends and pets) since 1978.